One of our Principal Environmental Engineers at Earth Systems, Dr Adrian Morphett recently presented at the 1st Melbourne Beyond Zero Emissions Discussions group, showcasing solutions for biochar production from waste wood sources and sharing data on some of our most recent projects using the Earth Systems CharMaker – Mobile Pyrolysis Plant. Biochar is a form of charcoal produced from the oxygen-free pyrolysis of wood and which, even when combined with water and soil, remains stable for thousands of years. It can therefore be an important carbon store, capturing carbon from the atmosphere and ‘locking it in’ as a solid mineral-like material. Biochar has many applications apart from carbon sequestration, including soil improvement and water retention and is increasingly popular as a soil additive to increase plant growth and crop yields. The full video presentation can be viewed HERE. 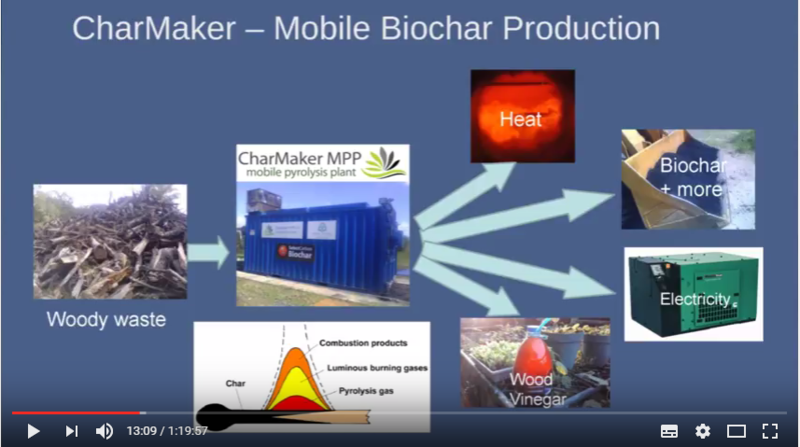 To learn more about the uses of Biochar and the Charmaker machine, please click HERE. Earth Systems secured funding through the Mekong Land Governance Project to work with Lao tea and eucalypt industry stakeholders to identify current environmental and social challenges and outline industry led collaborative approaches to addressing these and furthering sustainable development of each of the sectors. Eucalypt Sector Eucalypt Sector work included engagement with major eucalypt plantation developers including Birla Lao Limited, Burapha Agro-forestry Company Limited, Lao Plantation and Forestry Limited, Stora Enso Lao Limited and Sun Paper Holding Co. Limited and a range of other government and civil society stakeholders; and the publication of a Sector Discussion Paper – Towards Sustainable Forest Management: An Industry Perspective (EN – CH) outlining a collaborative approach to addressing environmental and social challenges and growing the sector in the years to come. 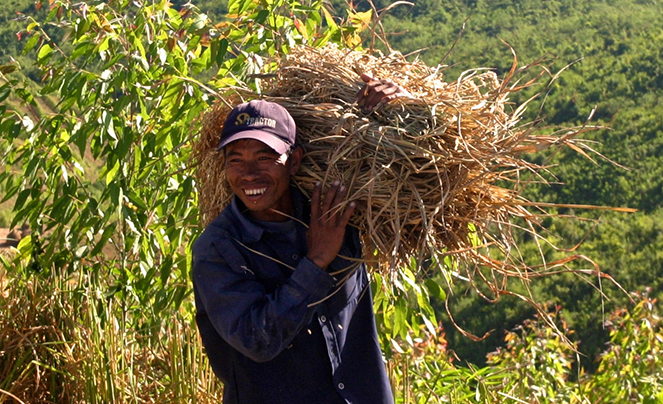 Over recent years, Lao PDR has experienced an unprecedented number of natural disasters which have claimed lives and caused widespread damage. These events have prompted the Government and its development partners to make significant investments to further develop all aspects the country’s disaster risk management framework. Earth Systems and its partner Advisian worked with the Ministry of Planning and Investment with the support of the World Bank to develop a Value for Money Strategy and Management and Monitoring System for Disaster Recovery and Reconstruction. The work drew heavily on the experiences of the Queensland Reconstruction Authority’s Value for Money Strategy for reconstruction after the 2011 floods. The Project, was conducted over a 12-month period until June 2016 and aimed to strengthen the government’s ability to plan and monitor post-disaster recovery efforts. 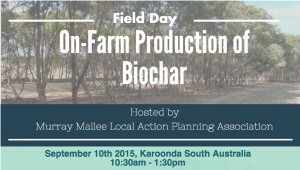 Earth Systems’ CharMaker MPP20 will be the main feature in Biochar Field Day hosted by the Murray Mallee Local Action Planning Association to demonstrate the production of biochar using sustainably grown and harvested Oil Mallee Plantations. If you wish to attend, please register your attendance by contacting the Murray Mallee Local Action Planning Association (see flyer). Click here for the flyer or download the PDF version for more details. As part of capacity building around a Multilateral Investment Guarantee Agency (MIGA) guarantee of two road sub-projects in Senegal, Earth Systems was engaged by MIGA, with support from the Japan Africa Trust Fund, to undertake a workshop on environmental and social risk management with representatives from the Senegalese road agency AGEROUTE as well as the Environmental Ministry and other key road right-of-way stakeholder government agencies. 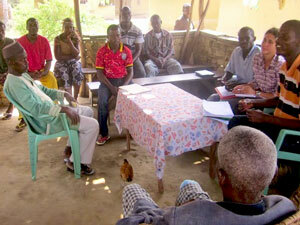 Provide a forum for sharing knowledge and experience on the design and implementation of community development funds. The workshop was attended by 44 key environmental and management representatives from numerous Senegalese government agencies involved in road projects. 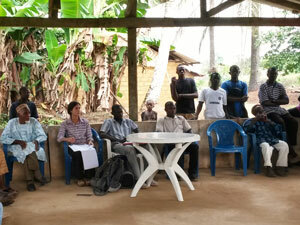 The workshop was well received by the participants and it was the first meeting between many of the representatives. 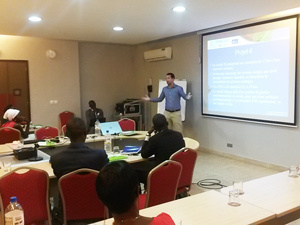 A key outcome of the workshop is the development of a network for sharing experiences and expertise, with the goal of improving the application of international best practice in environmental and social risk management for road projects in Senegal. 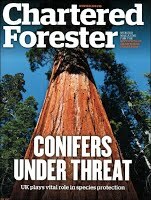 A new issue of Clear Solutions is now available for download. Clear Solutions is a newsletter covering some of the latest trends, opportunities and leading practices in water quality management and treatment. Underground mines present a range of challenges with respect to acid and metalliferous drainage (AMD) and water quality management. Fortunately there are some effective solutions applicable at all stages of mine development — planning, operations and closure — that can dramatically reduce the risks and costs associated with these issues. Pre-mining planning decisions for underground mines can dramatically lower water quality impacts and AMD management and closure costs. Managing underground water quality and related gas emissions has become critical to the safe and compliant operation of underground mines. For free-draining underground mines, both historic and recently decommissioned, there is finally an alternative to water treatment in perpetuity or risky pressure bulkheads for managing AMD. In 2014, Earth Systems became an accredited ESIA consultancy firm in Liberia. We are assisting international clients with projects on the ground through the Liberian project permitting process including scoping, preparing Terms of Reference and Environmental and Social Impact Assessments (ESIAs), stakeholder engagement and consultation. 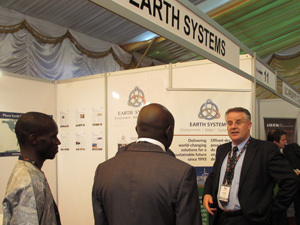 Through its partnerships with Liberian consultancies and established relationships with government and non-governmental organisations, Earth Systems has developed a large network of local, regional and international experts and a comprehensive understanding of the local context. 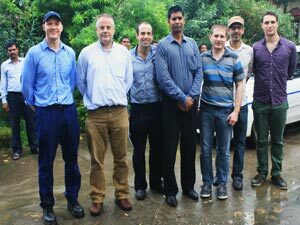 Earth Systems Teams Up with the Victorian Government and IITK to Combat Tannery Waste Issues in the Ganges River Basin, India. Earth Systems teamed up with the Victorian Government and the Indian Institute of Technology Kanpur (IITK), to deliver a roadmap for action by government, business and the community for the benefit of the environment and the Jajmau Leather Industry in Uttar Pradesh, India. The project is supported and funded by AusAID. The Road Map provides a realistic and measured approach to address social and environmental impacts and will offer both technical and regulatory solutions. The Vision is that the Leather Industry in Jajmau is able to sustain growth whilst not compromising the health of the river and the community. A copy of the Road Map is available here. 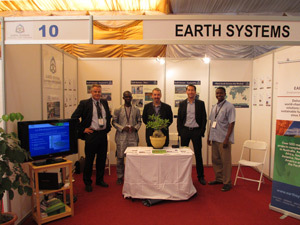 Earth Systems successfully exhibited and presented at the SIM Senegal Mining Conference earlier this month. 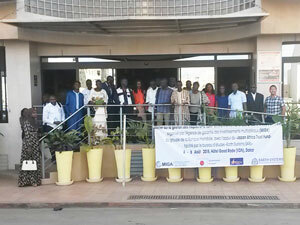 Now in its second year, the conference ran from 6 – 8 November 2012 in Dakar, Senegal. Staff from our Australian, Senegal and UK offices attended the event, which attracted 75 exhibitors, 65 speakers and over 500 delegates originating from 22 countries. Earth Systems has been working in West Africa for 10 years and currently have a number of on-going projects in Senegal and Guinea. Our regional Dakar office gives us advantages in project delivery in Senegal and the wider West African region, particularly having developed extensive regional experience in Environmental and Social Impact Assessment and Water Management. Our local knowledge and skills are supported by our international expertise to deliver a broad depth of expertise. As a result, interest in our services and experience was high amongst SIM delegates and we are looking forward to assisting our current and future clients in successfully delivering their projects across the region. 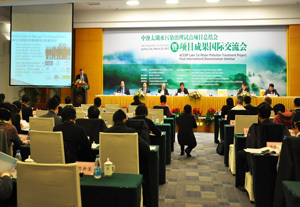 Before the event, a memorandum of understanding was signed by the National Reform and Development Commission’s International Cooperation Centre, Suzhou Development and Reform Commission and the AUS Lake Tai Cluster to establish the China-Australia Water Resource and Environment Cooperation and Research Centre, and continue this partnership over the next 5 years. Lake Tai is the third largest lake in China but is the most important in terms of population density and contribution of the basin to national GDP. 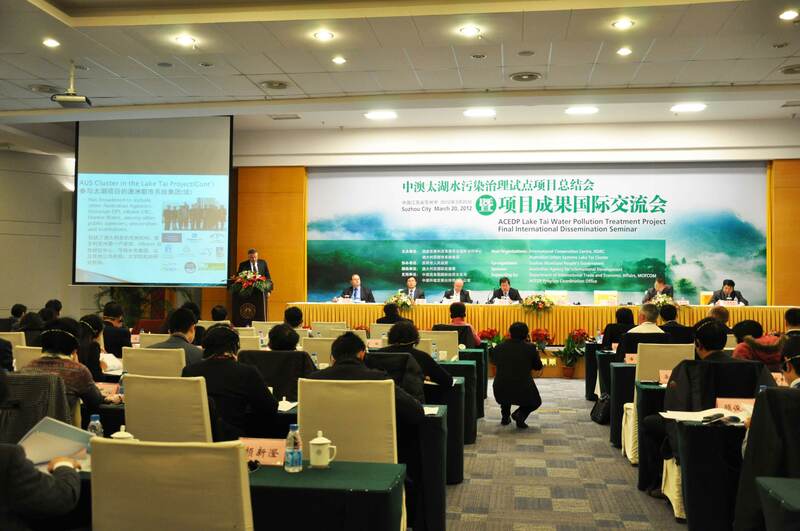 Water quality and algal blooms in Lake Tai has been recognised as a serious national issue for the P.R. China, particularly following the severe Cyanobacterial algae outbreak in 2007. 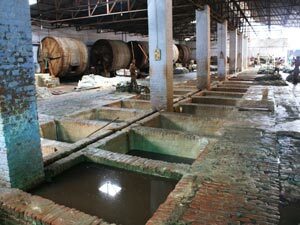 The State Council has approved a comprehensive restoration program for the Basin. 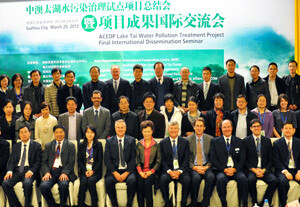 In 2009 the Australian Agency for International Development (AusAID) provided funding for the Lake Tai Water Pollution Treatment Project under the Australia China Environment Development Partnership Initiative (ACEDP). 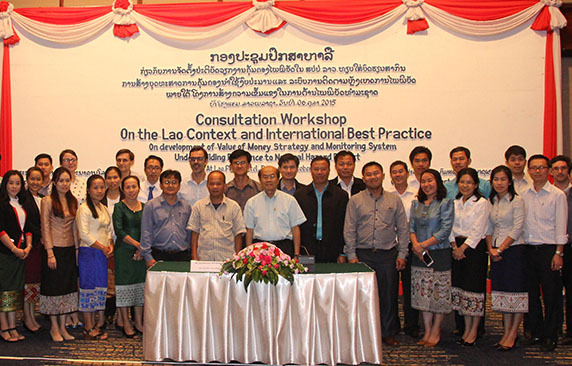 The objective of the Project is to strengthen management and policy approaches in the Lake Tai basin by increasing awareness of Integrated River Basin Management (IRBM) and science-based management/planning approaches. 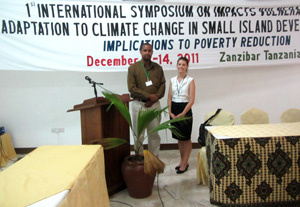 Earth Systems is now a registered Environmental Expert for the Government of Zanzibar. 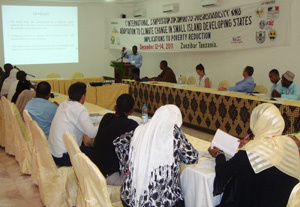 We are now providing environmental and social consultancy services in Zanzibar.